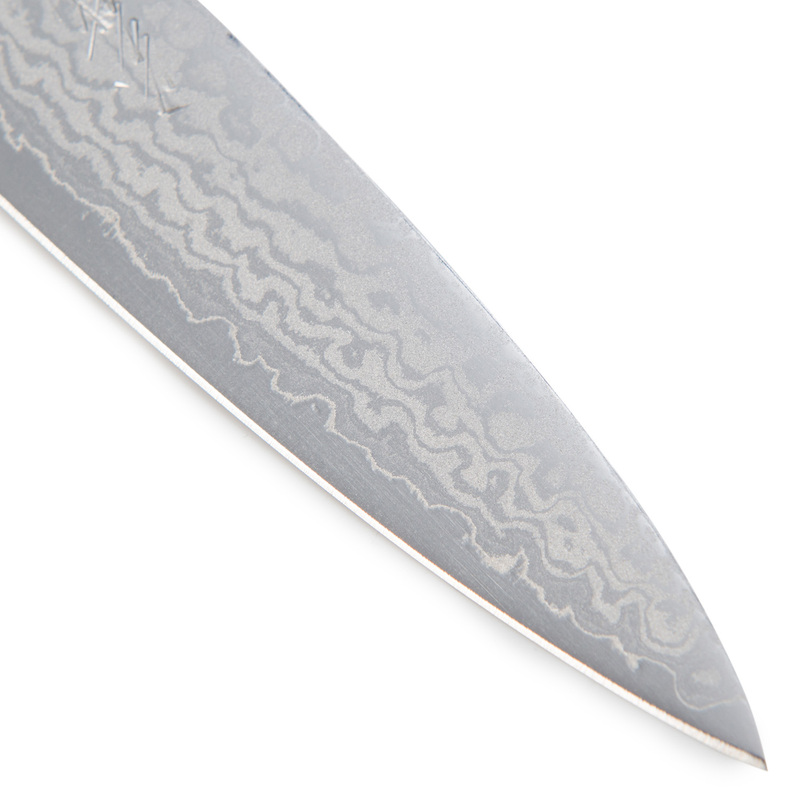 Exclusive to The Japanese Shop, the Yoshihiro Petty Japanese Chefs Knife 140mm is a Japanese kitchen knife made from stain resistant Damascus steel and a super smooth black mahogany wood handle. 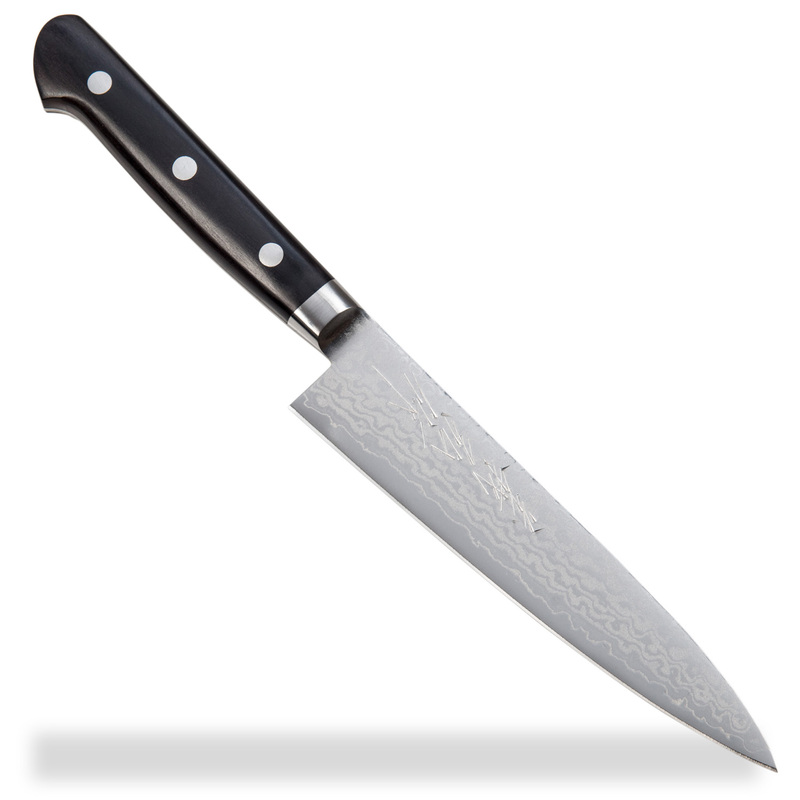 For knife aficionados the blade has a hardness Rockwell C scale of 57. The petty is a very versatile Japanese cooks knife which is recommended for the preparation of vegetables, fruit, boneless meats, and fish. These amazing Japanese kitchen knives have a beautiful wood grain effect on the blade called senbon kurokaki which means one in a thousand black persimmon trees, which are regarded as the most valuable wood and were presented to the Japanese emperors in ancient times. 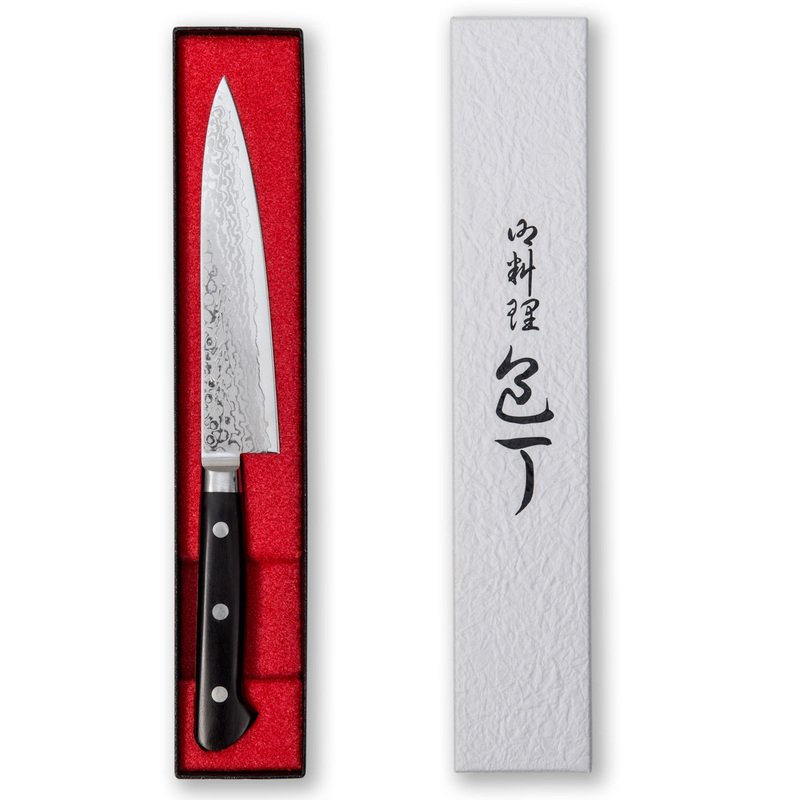 The Yoshihiro Petty Japanese Chefs Knife 140mm is an ideal gift for an enthusiastic amateur or professional chef! 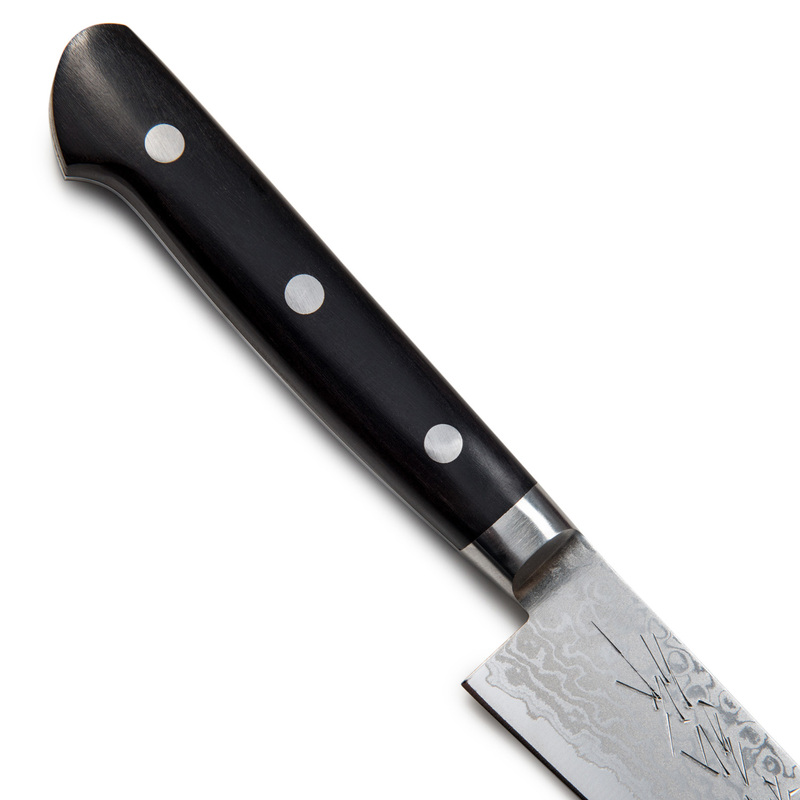 Buy your Yoshihiro Petty Japanese Chefs Knife 140mm online and have it gift wrapped free of charge, or visit our showroom for this and many more authentic Japanese kitchen knives! Note: To get the best from your knife we recommend that you never wash it in the dishwasher, wipe it dry after use to prevent rusting and always use sharpening stones to sharpen or hone your knife. This bladed product is not for sale to people under the age of 18.